We all are very familiar with Apache web server, it is a very popular web server to host your web files or your website on the web. 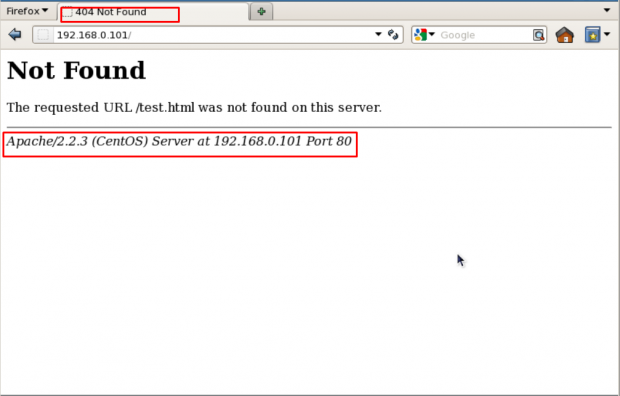 Here are some links which can help you to configure Apache web server on your Linux box. 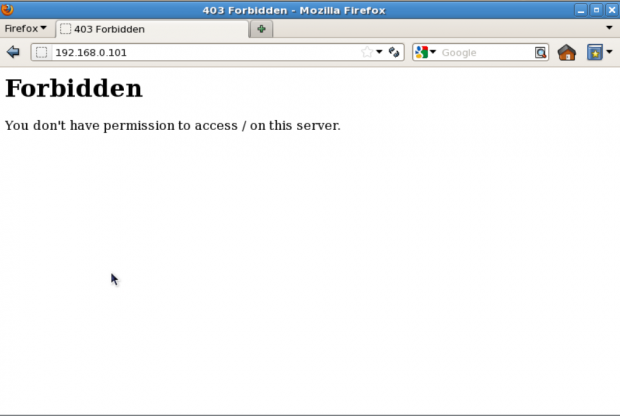 Here in this tutorial, I’ll cover some main tips to secure your web server. Before you apply these changes in your web server, you should have some basics of the Apache server. Main Configuration file: /etc/httpd/conf/httpd.conf (RHEL/CentOS/Fedora) and /etc/apache2/apache2.conf (Debian/Ubuntu). When you install Apache with source or any other package installers like yum, it displays the version of your Apache web server installed on your server with the Operating system name of your server in Errors. It also shows the information about Apache modules installed in your server. 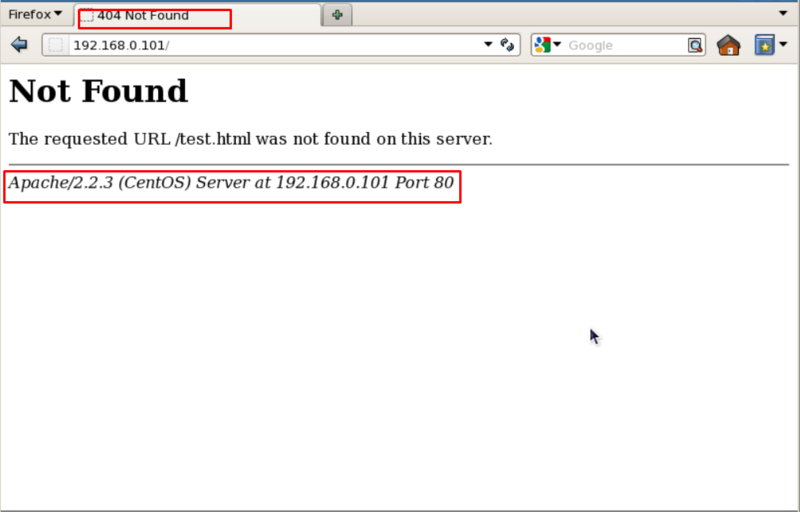 In above picture, you can see that Apache is showing its version with the OS installed in your server. 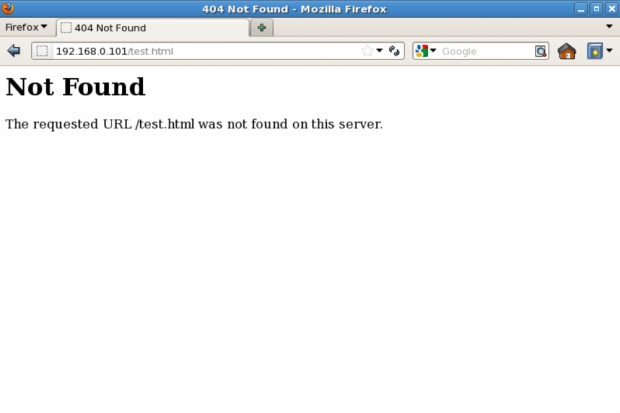 This can be a major security threat to your web server as well as your Linux box too. To prevent Apache to not to display these information to the world, we need to make some changes in Apache main configuration file. Open configuration file with vim editor and search for “ServerSignature“, its by default On. We need to Off these server signature and the second line “ServerTokens Prod” tells Apache to return only Apache as product in the server response header on the every page request, It suppress the OS, major and minor version info. By default Apache list all the content of Document root directory in the absence of index file. Please see the image below. We can turn off directory listing by using Options directive in configuration file for a specific directory. For that we need to make an entry in httpd.conf or apache2.conf file. Apache developer community is continuously working on security issues and releasing its updated version with new security options. So It is always recommended to use the latest version of Apache as your web server. To check Apache version: You can check your current version with httpd -v command. You can update your version with the following command. It is also recommended to keep your Kernel and OS updated to the latest stable releases if you are not running any specific application which works only on specific OS or Kernel. It’s always good to minor the chances of being a victim of any web attack. So it’s recommended to disable all those modules that are not in use currently. You can list all the compiled modules of web server, using following command. Above is the list of modules that are enabled by default but often not needed: mod_imap, mod_include, mod_info, mod_userdir, mod_autoindex. To disable the particular module, you can insert a “#” at the beginning of that line and restart the service. With a default installation Apache runs its process with user nobody or daemon. For security reasons it is recommended to run Apache in its own non-privileged account. For example: http-web. Now you need to tell Apache to run with this new user and to do so, we need to make an entry in /etc/httpd/conf/httpd.conf and restart the service. Open /etc/httpd/conf/httpd.conf with vim editor and search for keyword “User” and “Group” and there you will need to specify the username and groupname to use. We can restrict access to directories with “Allow” and “Deny” options in httpd.conf file. Here in this example, we’ll be securing root directory, for that by setting the following in the httpd.conf file. Options “None” – This option will not allow users to enable any optional features. Order deny, allow – This is the order in which the “Deny” and “Allow” directives will be processed. Here it will “deny” first and “allow” next. Deny from all – This will deny request from everybody to the root directory, nobody will be able to access root directory. These two modules “mod_security” and “mod_evasive” are very popular modules of Apache in terms of security. Where mod_security works as a firewall for our web applications and allows us to monitor traffic on a real time basis. It also helps us to protect our websites or web server from brute force attacks. You can simply install mod_security on your server with the help of your default package installers. mod_evasive works very efficiently, it takes one request to process and processes it very well. It prevents DDOS attacks from doing as much damage. 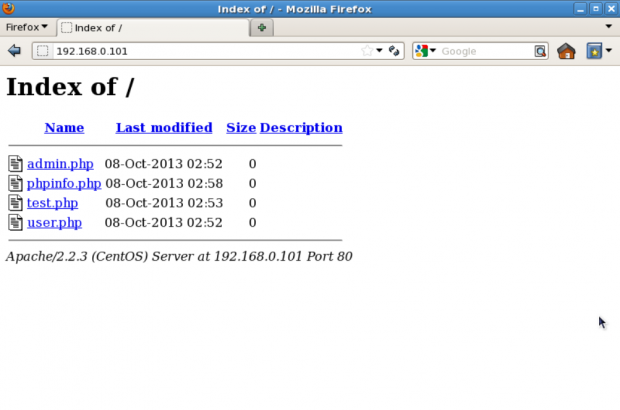 This feature of mod_evasive enables it to handle the HTTP brute force and Dos or DDos attack. This module detects attacks with three methods. If so many requests come to a same page in a few times per second. If any child process trying to make more than 50 concurrent requests. If any IP still trying to make new requests when its temporarily blacklisted. mod_evasive can be installed directly from the source. Here, we have an Installation and setup guide of these modules which will help you to set up these Apache modules in your Linux box. By default Apache follows symlinks, we can turn off this feature with FollowSymLinks with Options directive. And to do so we need to make the following entry in main configuration file. And, if any particular user or website need FollowSymLinks enable, we can simply write a rule in “.htaccess” file from that website. Note: To enable rewrite rules inside “.htaccess” file “AllowOverride All” should be present in the main configuration globally. We can turn off server side includes (mod_include) and CGI execution if not needed and to do so we need to modify main configuration file. We can do this for a particular directory too with Directory tag. Here In this example, we are turning off Includes and Cgi file executions for “/var/www/html/web1” directory. Here are some other values with can be turned On or off with Options directive. Options All – To enable All options at once. This is the default value, If you don’t want specify any values explicitly in Apache conf file or .htaccess. Options IncludesNOEXEC – This option allows server side includes without the execute permission to a command or cgi files. Options MultiViews – Allows content negotiated multiviews with mod_negotiation module. Options SymLinksIfOwnerMatch – It’s similar to FollowSymLinks. But, this will follow only when the owner is the same between the link and the original directory to which it is linked. By default Apache has no limit on the total size of the HTTP request i.e. unlimited and when you allow large requests on a web server its possible that you could be a victim of Denial of service attacks. We can Limit the requests size of an Apache directive “LimitRequestBody” with the directory tag. You can set the value in bytes from 0 (unlimited) to 2147483647 (2GB) that are allowed in a request body. You can set this limit according to your site needs, Suppose you have a site where you allows uploads and you want to limit the upload size for a particular directory. Here in this example, user_uploads is a directory which contains files uploaded by users. We are putting a limit of 500K for this. Well, it’s true that you cannot completely protect your web site from DDos attacks. Here are some directives which can help you to have a control on it. TimeOut : This directive allows you to set the amount of time the server will wait for certain events to complete before it fails. Its default value is 300 secs. It’s good to keep this value low on those sites which are subject to DDOS attacks. This value totally depends on kind of request you are getting on your website. Note: It could pose problems with come CGI scripts. MaxClients : This directive allows you to set the limit on connections that will be served simultaneously. Every new connection will be queued up after this limit. It is available with Prefork and Worker both MPM. The default value of it is 256. KeepAliveTimeout : Its the amount of time the server will wait for a subsequent request before closing the connection. Default value is 5 secs. LimitRequestFields : It helps us to set a limit on the number of HTTP request’s header fields that will be accepted from the clients. Its default value is 100. It is recommended to lower this value if DDos attacks are occurring as a result of so many http request headers. LimitRequestFieldSize : It helps us to set a size limit on the HTTP Request header. Apache allows you to logging independently of your OS logging. It is wise to enable Apache logging, because it provides more information, such as the commands entered by users that have interacted with your Web server. To do so you need to include the mod_log_config module. There are three main logging-related directives available with Apache. TransferLog: Creating a log file. LogFormat : Specifying a custom format. CustomLog : Creating and formatting a log file. You can also use them for a particular website it you are doing Virtual hosting and for that you need to specify it in the virtual host section. For example, here is the my website virtual host configuration with logging enabled. Last, but not the least SSL certificates, you can secure your all the communication in an encrypted manner over the Internet with SSL certificate. Suppose you have a website in which people login by proving their Login credentials or you have an E- Commerce website where people provides their bank details or Debit/Credit card details to purchase products, by default your web server send these details in plain – text format but when you use SSL certificates to your websites, Apache sends all this information in encrypted text. You can purchase SSl certificates from So many different SSL providers like namecheap.com. If you are running a very small web business and do not willing to purchase an SSL certificate you can still assign a Self signed certificate to your website. Apache uses the mod_ssl module to support SSL certificate. Once your certificate has been created and signed. Now you need to add this in Apache configuration. Open main configuration file with vim editor and add the following lines and restart the service. Open up your browser, type https://example.com, and you will be able to see the new self-signed certificate. 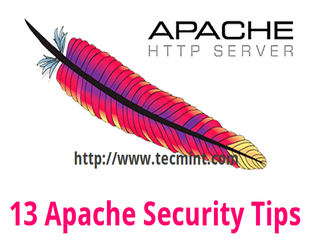 These are few security tips that you can use to secure your Apache web server installation. For more useful security tips and ideas, see the official online documentation of Apache HTTP Server. The setting is in /etc/apache2/conf-available/sercurity.conf. if you open the file, you will know how to make it working. Thanks for sharing such a usefull and Informative Post ! This helped me a lot but hiding Apache Version and OS Identity from Errors is not working for my Apache/2.4.18 (Ubuntu), but it worked on my Debian server..
On Step 5 I need to Change apache installation directory ownership recursively to the newly created non-privileged user ? One better alternatives for SSL is to use a service like LetsEncrypt which is free. Extremely easy to configure and globally recognized across browsers.